You've probably heard of duck confit, but did you know that you can also turn vegetables into confit? With this quick guide learn how it's possible to prepare vegetables in this style. But be aware that food purists will take issue with confit being described in this way. Before making the case as to why vegetables can be cooked in this style, it's first important to understand what confit means. Simply put, confit is meat, usually, duck, slow-cooked in its own fat. For example, with goose confit (confit d'oie) or duck confit (confit de canard), the dish is typically made with the legs of the bird. To enhance its flavor, the bird meat is seasoned while it cooks, usually not surpassing 185 F during the process. The dish is then preserved by letting it cool down and then storing the meat in the fat. The fact that vegetables don't have fat like meat does is just one of the reasons why the idea of vegetarian confit is up for debate. How can a food item with no fat be cooked in such a way? 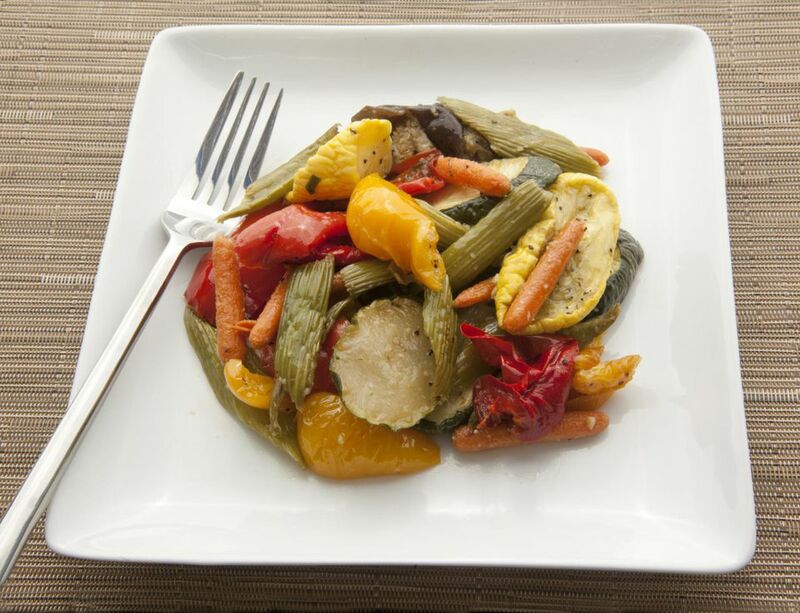 Still, the idea of vegetable confit is growing more popular. Here's why. Okay, okay, so a few food geeks out there will scold those who make the case for vegetable confit and say there's no such thing as a true vegetable confit. But supporters of the idea counter that "confit" is increasingly used by chefs as a verb as well as a noun, and it is in that double sense that foodies sometimes embrace the term in relation to vegetables. Basically, it is food cooked in fat until it is unctuously tender and delicious. Be it meat cooked in its own fat or vegetables with added oil, the dish is appetizing to many. But, particularly, if you're not a huge meat eater or a strict vegetarian or vegan, eating vegetable confit may be the only way to enjoy this style of food. The result of vegetable confit is an unctuous treat that can be used as an instant hors d'oeuvres (think confit on toast points), or mixed with whole grains or root vegetables to turn them into a luxurious side dish, mixed with pasta for a quick dinner or used to create vegetarian sterilized heatproof jars (wide mouth canning jars are perfect). Use a butter knife or spoon to press on the vegetable confit in the jars and thus remove any air bubbles. The vegetables must be completely covered by the oil. Cover tightly and store in the refrigerator for up to three months. Unlike duck and other meat confits, it is not recommended to freeze vegetable confits for longer storage. That's because the texture of the vegetables breaks down and becomes unappealing. Stick to making smaller batches and storing them in the refrigerator.